In this post I’m going to review a new program called Money Sucking Websites. The reason for writing this review is to save folks from falling to this new scam. Though I already reviewed it under a different name known as Cash Website Success. I’m writing this review because there are still some people that search for this program under different keyword combinations and anyone can come across it. In my review I’m going to answer a classic question “Is Money Sucking Websites a Scam?” Here is a long and detailed answer to this question. 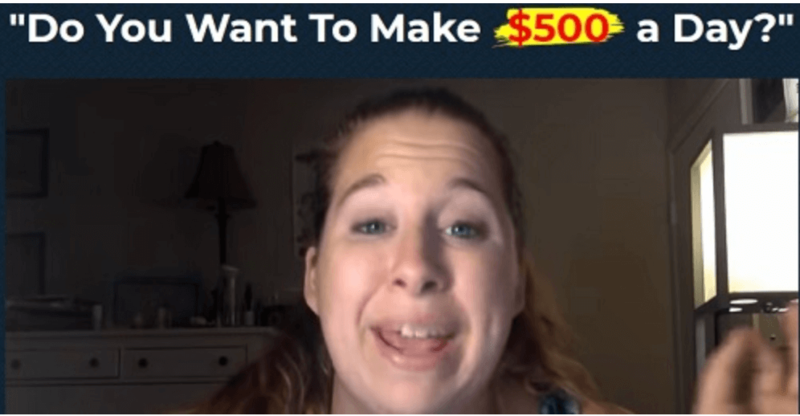 Money Sucking Websites teaches you how to earn $100 – $500 a day by following simple instructions that you can get from the program. 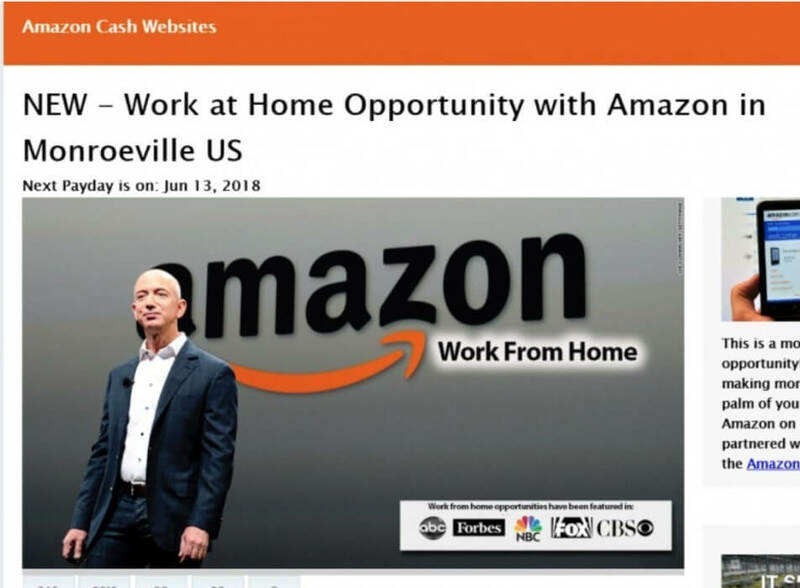 As a member of Money Sucking Website you will be learning how to make money through Amazon, one of the most popular programs available online. Our main question today: Is Money Sucking Websites a Scam? Let’s do some research to find out the truth. Money Sucking Websites is a waste of time. This scheme is going to be easily exposed within this review. Fortunately, there are programs like this one that helped me and many others to start making a solid income online. The main issue with Money Sucking Websites starts with the landing page that is full of lies. I will discuss them all within my review. The promise about making $500 a day is the craziest thing I’ve ever seen in online space. I don’t mean it’s impossible. 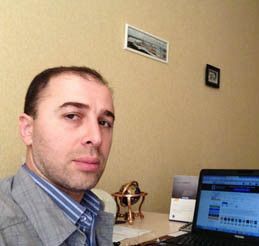 I myself had $200 or even $250 days in my 4 years experience online. But this kind of commission doesn’t happen every single day. Only if you get a lot of traffic, 1000 visits a day at least. Even then there is no guarantee whatsoever that you will make $500 a day. When visiting myupdatenewspages.pw website it sends you to Cash Website Success, some links send you to Money Sucking Websites. On the landing page it shows a lot of social sharing that I’m sure are all fake. 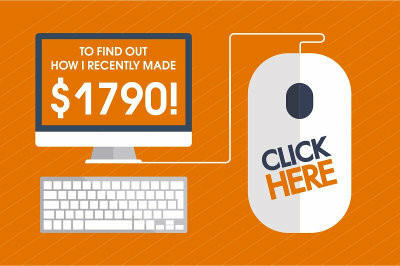 It’s not difficult at all to buy such fake numbers at sites like Fiverr.com or other freelance sites. On the same page it is said that this program is run by Amazon itself. This is of course not true at all. They also use other website domains for promoting their scammy idea, such as http://ww7.mswsystem.com/, mswsystem.com/ and so on and on. They promise to give you a money making website just for $47. The truth is that even if they give you ready made website it doesn’t matter you will be making money from it. Not at all. First of all, ready made websites cost way more than $47. They normally cost at least $500-$700. This type of sites come with prewritten 5,6 quality articles, images, installed plugins, website logo, optimized and well designed website and of course based on an in-depth niche researched for you. No one is going to do it for $47! No One! $47 worth site is pretty much useless. I can guarantee it. If you do some research on Google you will find MANY websites that give scam verdict to Money Sucking Websites program. And it’s not because they don’t like it. It’s because the program is bad. It’s because the program doesn’t deliver what they promise. It’s because they don’t provide quality support and training. It’s because they invent lies after lies for promoting their low quality product and make more money off you. For example, they say that their site will accept only 300 students. I’m sure this is not real. They accept way more and scam way more people than this number. I’ve seen the same trick with many other programs, especially with posting links scams. 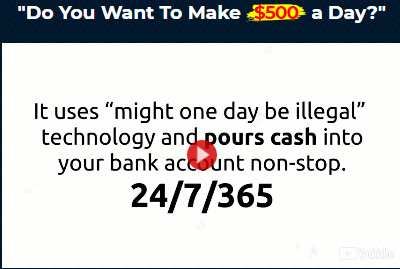 They promise you to make money 24 hours a day non-stop. Can this be real? Yes, it can BUT not with the kind of support and training Money Sucking Websites gives you. 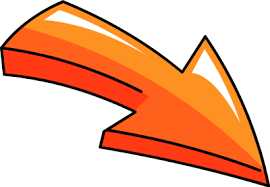 In order to make money online non stop you need to either get a ton of traffic, 1000 visits a day or have a huge email list, at least 5,000 active subscribers. Without this you can hardly make money non stop. Though they promise that you can start making a lot of money at the push of a button, in fact, you pay $47 to get nothing unique or special. If making money online was as easy as just hitting a button and start making money 24 hours a day non-stop everyone would be making it myself included. Unfortunately, it’s impossible. It’s just a dream. Sometimes they promote their program without mentioning anyone standing behind their fake product. This time they mention Willy Handcock and his family. In another program such as Amazon Cash Websites or Cash Website Success they mentioned “happy” family of Karen and Chris Peters with their children. Now it’s Willy and his family. It looks amazing. Again they use images from stock image websites, such as shutterstock.com, bigstock.com. See screenshots below. This proves again that there are no real people behind Money Sucking Websites. The next wrong thing with Money Sucking Websites is on the payment page that is full of scam alerts. They urge you to pay $47 within 4 minutes or otherwise the discount will expire. In fact, if you refresh the page you will have another 4 minutes for discount. They also try to persuade you that there are only 13 spots available. In fact, there are way more spots than just 13. Believe me. I’ve seen many programs like Money Sucking Websites. If you refresh the page or visit it next day you will see that this number doesn’t actually change. Plus they suggest that if you don’t like their product and want to get your money back then you need to contact them via email address support@easykits.org. If you visit the link http://easykits.org/ you will NOT find anything. All this proves that Money Sucking Websites looks like a scam. In my humble opinion, you better avoid it. Also, if you look closely at the screenshot you will see that the page says you will get a money making website immediately once you paid for it. The truth is that you will not get anything. All you can get is some kind of a website, a duplicate copy of what has been given too many other people like you. Nothing unique, nothing special. Believe me, I know how to make money online and I’ve been making money from my websites since 2015. So, I know how the process works. It involves many steps, such as creating content for your website, optimizing it for conversions, getting rankings on search engines, social marketing, email marketing, video marketing. You can’t start earning money at the push of a button. It doesn’t work that way. Unfortunately, Money Sucking Websites uses same misleading strategies that do Amazon Cash Websites, Prime Time Profit, Cash Website Success and Fast Income Generator. They promote their program through a fake news site called Today Time News. They feature Jeff Bezos who is the founder of Amazon. By doing so they make their program look more trustworthy to lure more and more people into Money Sucking Websites. This is really bad to use such misleading strategies. The main issue with programs like Money Sucking Websites is that they give you a clone website and promise that it’s fully automated and you will be making money from it on autopilot. As an experienced internet marketer I can tell you with full confidence that you won’t be making money with a clone website. Because it’s not an original website. Google will never index your site because it’s a copy of another website. Google doesn’t like duplicate sites and never ranks them high. What does it mean? Your site will never be found and ranked. And you will not get any traffic from search engines. No traffic means no visitors. No visitors means no money. The only way to bring traffic to your clone website is through email marketing or paid advertising. Both these ways require time, effort and spending a lot of money. According to my research Money Sucking Websites is not the only program that promotes the idea of making money through Amazon and affiliate marketing. The same idea has been promoted for some time by other similar programs that you can see listed below. I suppose the same group of people stand behind all these programs. I’ve seen the same strategy with link posting scams. You can read my article here and compare it to this group of sites that are doing the same thing now. Since all these program mentioned above are promoting the same fake product they have pretty much same cons that are common to them. I will recap them all here so you can easily see what is taking place behind the scenes. 1.They send massive emails to thousands of people and some people definitely get scammed by them. Because emails are very attractive and convincing. People with no experience in making money online easily fall to this type of programs. 2.They send massive text messages to mobile phones and some people fall to this. 3.They catch some people via social media, Facebook, Youtube etc. 4.They buy fake customer testimonials from freelance sites and most people fall to this. You can see the screenshots below. First screenshots are actual testimonials from Money Sucking Websites and other screenshots are the paid actors from freelance sites. You can easily get such testimonials for yourself for $15-$20. But I don’t recommend to do it because it will ruin your reputation forever. 5.There are too many exaggerated income claims in the program. From my experience I can tell this is the first and the most clear sign of the program being a scam. 6.Landing page is full of lies. There are too many of lies. I believe no reasonable person will want to join Money Sucking Websites once they see all these lies. 7.Hidden costs is the worst and the most hateful feature when it comes to make money programs. Because you are supposed and forced to pay more and more while results are not guaranteed at all. The only thing that I like about Money Sucking Websites is that they provide some value through a very decent training. But this is not enough for getting practical results. Plus support is far from being what it needs to be. Due to many lies and tricks used on the landing page I can’t recommend Money Sucking Websites at all. Can you become successful with Money Sucking Websites? Realistically speaking I can tell you this. You can be successful through affiliate marketing or Amazon program which is part of affiliate marketing. But it can be achieved only through effort, patience and dedication. Plus you need the right program with quality training and support. Does Money Sucking Websites provides all of this? I don’t think so. 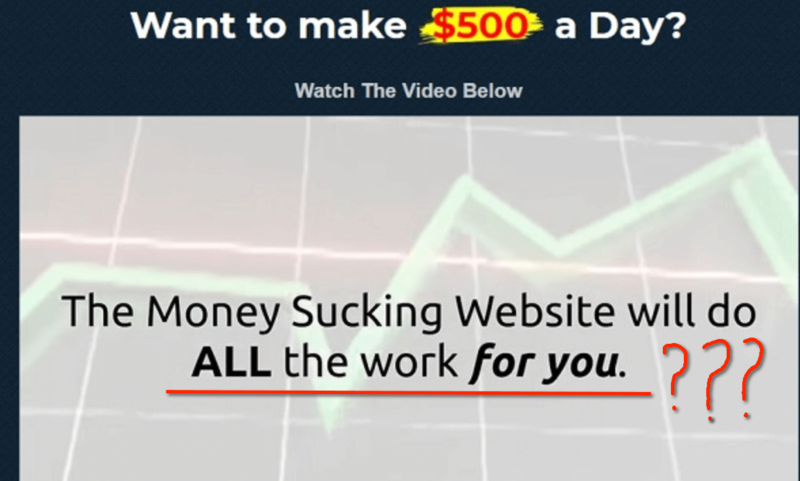 The only thing they promise you is to give a website that will make money, $500 a day non stop. Is this real? No, it’s not truth. I’m not saying Money Sucking Websites is a complete waste of time. They most likely deliver some value like many other low quality programs do. The main issue with all of them is that their trainings never deliver the level of value you need to achieve your online business goals. Plus they throw a ton of upsells on you to make more and more money off you. Because I see the situation, if they invent so many lies and tricks to sell their product it means their main goal is not helping you. 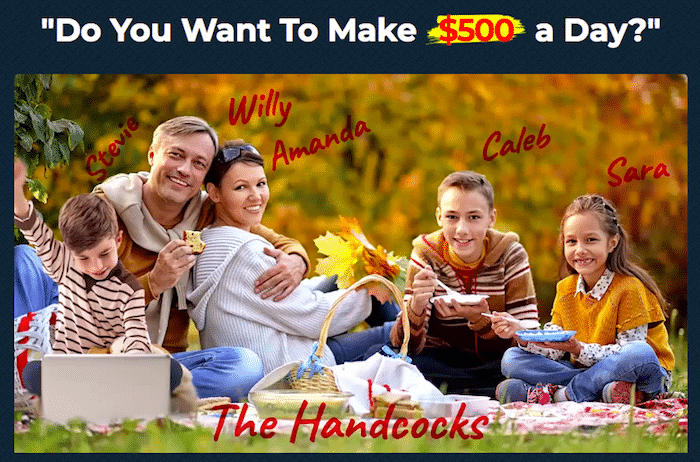 Their main goal is to make more and more money from you. This is how I see the situation. Don’t fall to programs like Money Sucking Websites. In my humble opinion, Money Sucking Websites is a scam. Logic and my experience with similar programs, tell me that Money Sucking Website System is a scam. 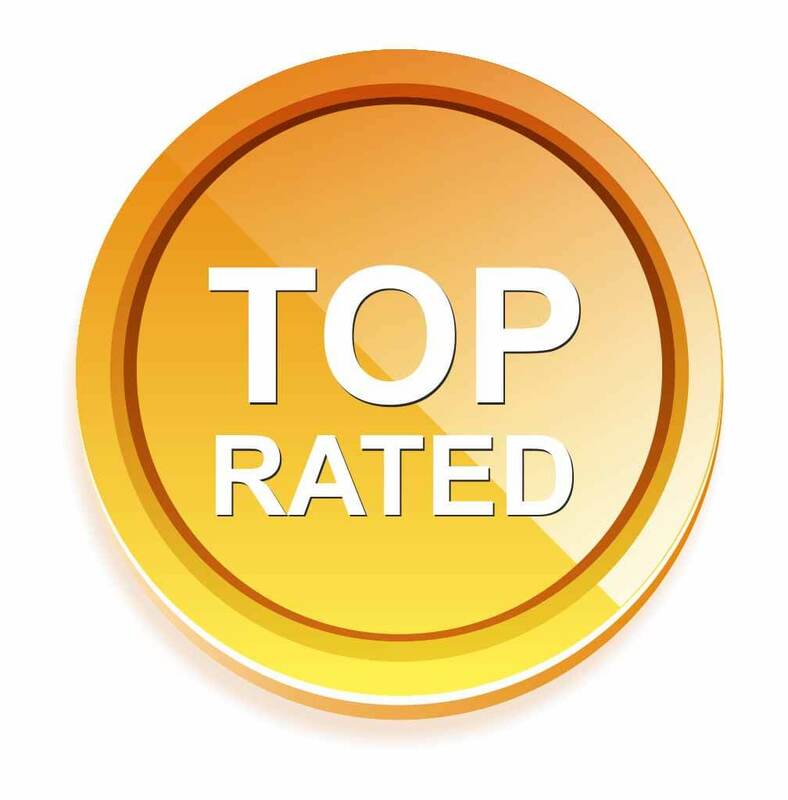 One of the most common tactics I see on scam websites, is the use of fake testimonials. And this site is no different.To earn money with a website, you need to educate yourself. You need to learn how the real process works. That’s true Mustapha. I really don’t understand people that use such shady and shameful tricks to sell their programs. It’s so unethical. Programs like Money Sucking Websites turn people away from making money online, i.e. 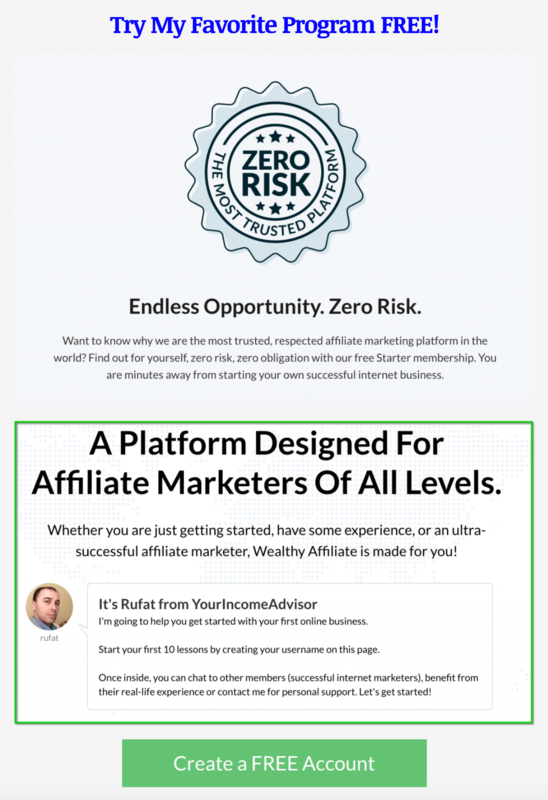 affiliate marketing which is totally legit method. Instead of that they think short term. Their main goal is to make money off people. I love the posts and the info given on the Money Sucking Websites . But I’m very baffled and very paranoid when it comes to getting rich quick online, some people just come up with fake ads, and paying people to come up with fake testimonial videos. Most of those people in those videos are hired on Freelancing website like fiverr to come up with fake testimonial videos,all these just deceive people to fall into there trick. I really appreciate the features highlighted about them by stating the pros and cons about the program.Thanks for the thorough research. Unfortunately, internet is full of such ads that can easily get you fall for scams like Money Sucking Websites and the like. Thanks to review sites many people today already know of the existence websites where you can buy fake testimonials. But others and there are still a lot of people that fall for scams. I hope I can help at least some people that start in affiliate marketing and save them from scams like this. But there are too many scams and it’s really hard or even impossible to save everyone. Those sites use many tricks and most people that are new to making money online get scammed by them. The only thing that can help is doing research. Hi Rufat, thank you so much for this post. Its a life saver. I got to know about money sucking websites of recent. A friend introduced the website to me. By merely checking out the website, I had this skeptical view and I was suspicious of it. I just knew there is a scheme behind all those large promises. Thank you for confirming my suspicions. Its really outrageous for a website to pay people just to lie about their success stories. This is very bad. Thank you for the honest review. Its really an eye opener. It’s good to know that you didn’t fall for this scam. 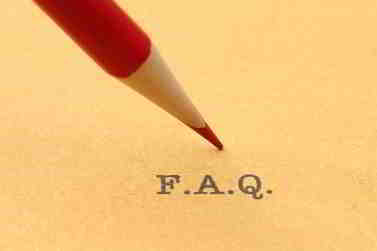 Let me ask you a question. Did your friend recommend you to join Money Sucking Websites? I guess he didn’t know that the program was actually a scam. It’s always better to do your own research and not just rely on someone. Programs like this always use methods, such as sending massive emails because it still works. I get such mails in my inbox every single day. Fortunately, this is my niche and I know what to do with these emails. Many others don’t know unfortunately.